The new rich and heartwarming novel from the New York Times bestselling author of The Sunshine Sisters and Falling, about second chances later in life. Maggie, Evvie, and Topher met one another during their first week at university and instantly bonded, promising one day, after graduation, they would all live together. But life soon got in the way. Evvie starves herself to become a successful model, a career curtailed only after a one-night stand with the--married--man she has always loved results in pregnancy. She quits to raise her son, Jack, but finds herself lost and lonely when her nest empties. Meanwhile, Maggie marries Ben, the boy she lusted after at university, but they are never able to have the children they want, and Ben becomes an alcoholic. When he unexpectedly dies of liver disease, Maggie can't help but feel relief, though she doesn't know what to do with her newfound freedom. And Topher enjoyed a successful career as a soap opera actor but now lives with a much-older partner, Dickie, as his caretaker. 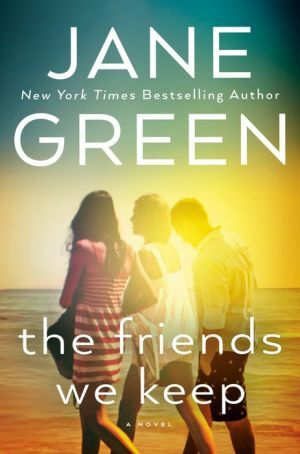 At their thirtieth university reunion, the friends decide to keep their promise and all move in together. It seems to be the answer to all their problems until the day Jack makes a surprise visit, and he reveals himself to be the spitting image--and obvious son--of Ben. Now the three friends must confront their secrets and discover where the regrets in their lives truly lie. The Friends We Keep is about how you never stop growing up. No matter what disappointments we have had, what mistakes we have made, it's never too late to find happiness.